It all started with the arrival of the “modern-day fountain of youth” called HyC150, the flagship product of Bright Ray Enterprises, its distributor in the Philippines. Made by FiNE Japan Co., Ltd., this powerful premium food supplement has three main ingredients, Collagen, Hyaluronic Acid, and Ubiquinol, and all were effectively combined to harness their massive youth-generating potentials. Collagen is HyC150’s age-defying ingredient that helps keep young-looking skin supple and smooth by decelerating the aging process and combating the negative effects of too much exposure to the elements. Hyaluronic Acid (HA), meanwhile, helps lubricate the bones, joints and eye tissues and maintains healthy gums. It also works with Collagen to keep the skin nourished and hydrated, promote healthy and glossy hair, plus regulate protein for better and faster wound healing. Ubiquinol provides the energy and physicality to make you moving younger than your age. Other active ingredients of HyC150 include Vitamin C, Biotin, Elastin and Pearl Coix, all working together to bring significant benefits to the body. In clinical trials conducted in Japan, North America and Europe, about 93 percent of users of Premium HyC150 reported improved hair, nails and skin with continued use. 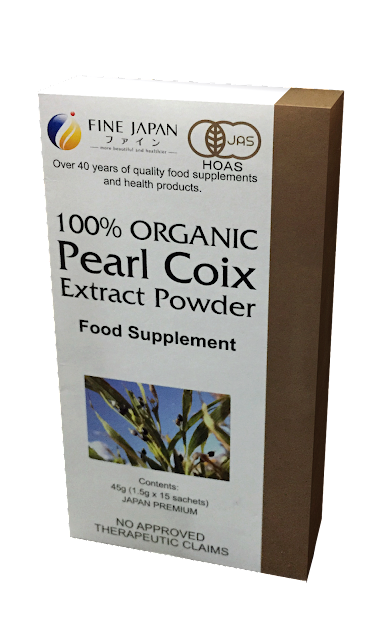 Another exceptional product is 100% Organic Pearl Coix, developed by FINE Japan back in 1975 and continues to be one of its best-selling products for over four decades. This pioneering product took 5 years to develop, and contains only 100% fine and pure organic pearl coix extract powder. On its own, 100% Organic Pearl Coix is touted to pack nutritional benefits that help maintain fair and luminous skin. Historically, pearl coix is commonly used by Japanese women, who are often cited for their flawless complexion that’s radiant and gleaming. It is said to even remove warts, treat various skin diseases such as acne, skin rashes and other swellings and symptoms of fever, localized infections like allergic dermatitis, prevent skin aging and reduce blemishes. Plus, its diuretic effect helps remove excess water from the body and promote better urine flow, even strengthening joints and reducing limb stiffness. There were also studies that show it can be used to fight certain cancers together with standard anti-cancer protocols. FINE Japan also came up with Turmeric Extract Powder, with turmeric, a vital member of the ginger family, as its main ingredient together with curcumin. Said to have health benefits particularly in keeping the liver healthy and functioning efficiently, turmeric proved to be an effective antioxidant and this potent, ready-to-drink nutraceutical product can also help fight aging, boost health and enhance personal beauty. 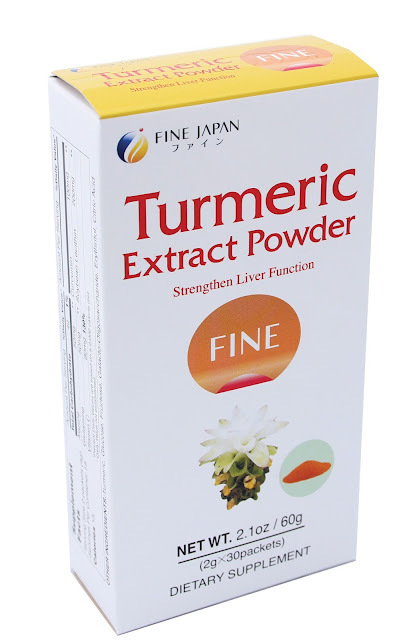 And the fact that it has no aftertaste makes Fine Turmeric Extract Powder a fine daily component to you or your family’s diet so you can all stay healthy and beautiful all the time. 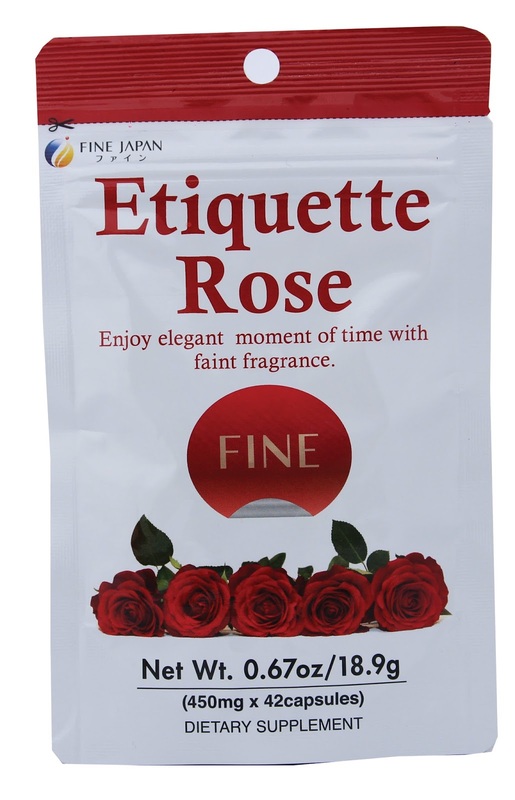 Finally, there is Fine Etiquette Rose, the revoutionary oral perfume especially for those who live an active lifestyle. This revolutionary health supplement works from within to help you combat dreaded and unpleasant body odors so you can stay confident whenever you are in the company of people. Fine Etiquette Rose is made with Bulgarian Damask roses, a prime source of perfume oil since the ancient period, as its prime ingredient. This rose type’s proven potency makes it one of the most precious oils in the world since it would take more than 2,500 roses to make just 1 cc of oil. It’s that potent! Then, this rare ingredient is mixed with other organic elements like fermented rice germ and soybean oils, known for its natural deodorant properties, to help you combat repulsive body odors while providing women with a naturally pleasant smell and sweet-smelling breath to make them look good, feel better, confident and attractive more than ever. The best part of it all, it’s so easy to incorporate HyC150, Fine Organic Pearl Coix, Fine Turmeric Extract Powder and Fine Etiquette Rose into your daily diet if you desire to stay young-looking, healthy and vibrant. As each one works in complement with one another, just use one sachet a day for HyC150, Fine Organic Pearl Coix, Fine Turmeric Extract Powder or three capsules a day of Fine Etiquette Rose and add these to your favorite meal or beverage, you can now be as glorious and glowing as ever in celebrating life and finally reveal a new and beautiful you. For more information about these products, visit www.HyC150.com; like us on Facebook (https://www.facebook.com/HyC150); follow us on Twitter #HyC150 or Instagram @HyC150, or call Bright Ray Enterprises (02)546-7297, (02)861-6298, or 0917-7750779. HyC 150 is now available at selected Mercury Drug stores in Metro Manila. Fine Products are available at selected Watsons stores nationwide, online in Lazada or at HyC 150 online store, free delivery nationwide.